Since completing graduate school, Jesse has been an active member of the Tucson art scene, participating and exhibiting in a number of local group and solo exhibitions. From the fall 2013-spring 2016 he was an active member of the Sculpture Resource Center, teaching classes in sculpture and helping to organize and curate events including the annual Tucson Erotica and Tucson Sculpture Fest exhibitions. Previously sculpting in a wide variety of materials, since the fall of 2016, Jesse has been working almost exclusively in ceramics. 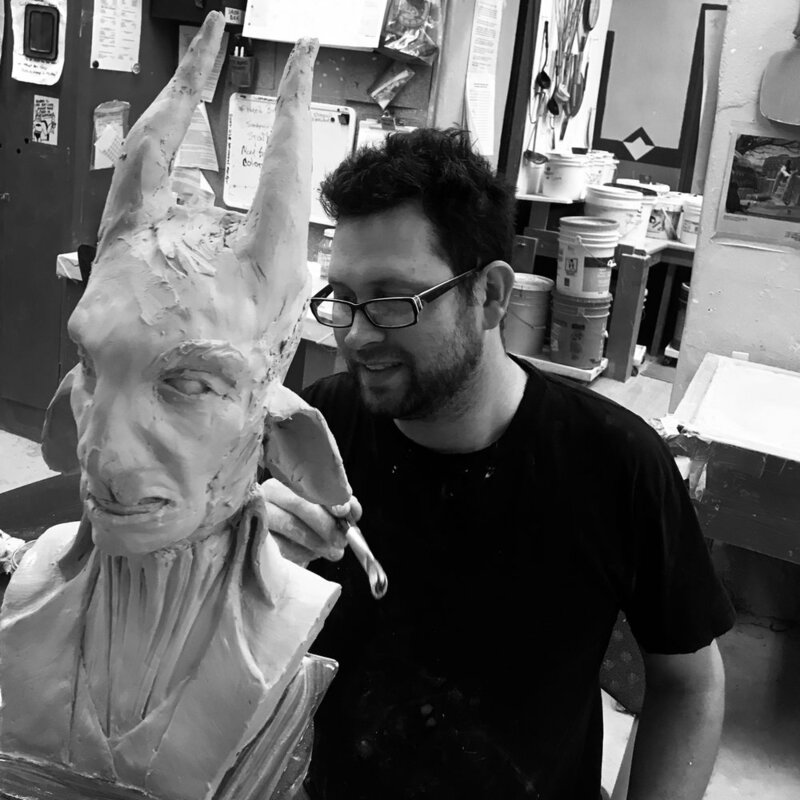 He studied with Hirotsune Tashima at Pima Community College and most recently completed a work-study scholarship program in which he studied the figure in ceramics with Kensuke Yamada at Penland School of Crafts, in Penland, North Carolina. Check Jesse’s website and Instagram for more.